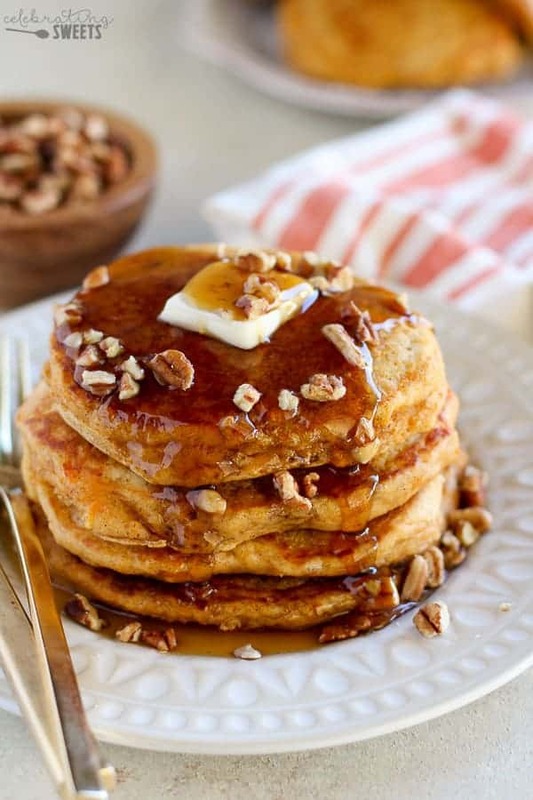 Slightly sweet, delicately spiced, thick and fluffy Sweet Potato Pancakes. A hearty and comforting fall breakfast. We live in a world where we get to call this “breakfast”! How amazing is that? 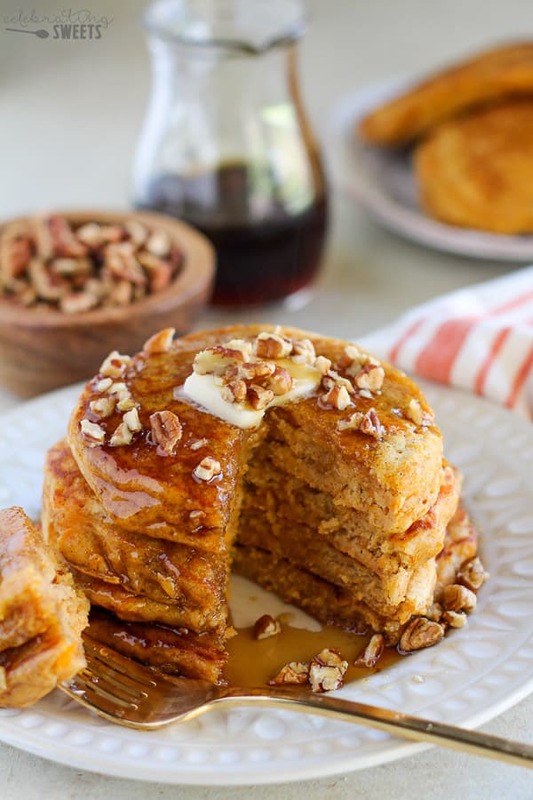 A big stack of thick and hearty Sweet Potato Pancakes is the perfect way to start the day. With the weather cooling down I’ve been in the mood for cozy weekend breakfasts. This time of year I usually reach for pumpkin-everything, but instead of whipping up a batch of my Pumpkin Pancakes, I decided to give a little love to sweet potatoes! And guess what? I think I might actually like these better than pumpkin pancakes. Gasp! Once you’ve experienced a stack of these delicately spiced, perfectly sweet, warm-you-from-the-inside-out sweet potato pancakes you will be hooked. In our house, pancakes are usually reserved for weekend breakfasts, but, these were so dang good that I made them for dinner several days after making them for Sunday breakfast. Note: If you’re needing a little push to get you through that midweek slump, breakfast for dinner will do the trick. Comfort food for the win. Now let’s talk toppings, shall we? My favorite way to eat these pancakes is with a generous smear of salted butter – that’s it! My kids love them doused in pure maple syrup, and my husband prefers these pancakes topped with warm cinnamon glazed apples – cozy fall flavors in every bite. Be sure to try my Baked Sweet Potatoes. And if you’d prefer your sweet potatoes a little less wholesome (read: covered in marshmallows and brown sugar streusel), I want to remind you that it’s the time of year for my Sweet Potato Casserole! This is my all-time most popular recipe, with tons of positive reviews. Give it a try this holiday season. Now, let’s count the days until the weekend. Or make tonight breakfast for dinner night. Let’s just find any reason to eat Sweet Potato Pancakes. In a medium bowl, combine flour, pie spice, baking powder, baking soda and salt. 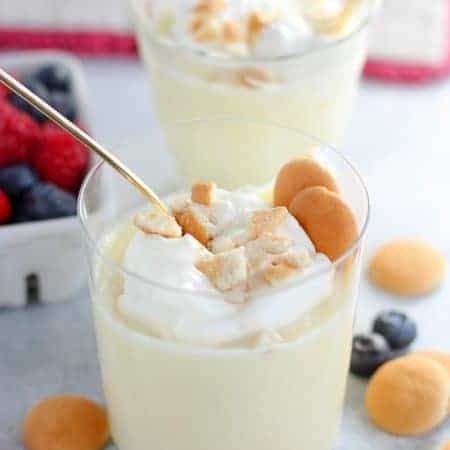 In a large bowl, whisk melted butter, sweet potatoes, eggs, buttermilk, milk, syrup and vanilla. Add dry ingredients and stir until just combined. Heat a griddle over medium-low heat and grease liberally with butter. Scoop 1/3 cup portions of batter onto the griddle and lightly spread into a circle (the batter will be thick). Cook until set on the bottom, then flip and cook on the other side. Since these pancakes are thick be sure to cook them over low or medium heat; you don't want the outside to burn before the inside is cooked through. 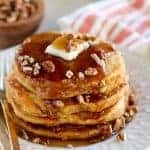 Serve pancakes warm with butter, syrup and chopped pecans. Mashed Sweet Potatoes: Scrub and a prick two medium-large sized sweet potatoes. Wrap with foil and bake in a 400°F oven for about 45 minutes, until tender. Cool slightly, then scoop out the flesh and mash it. 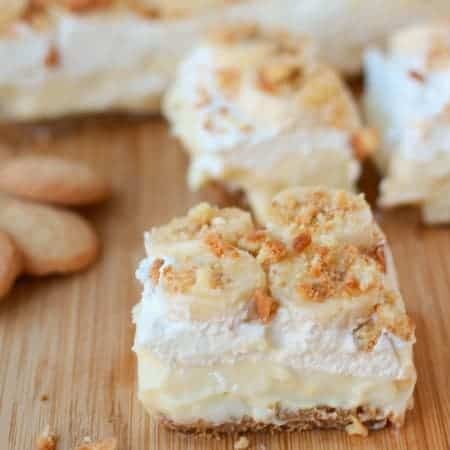 This recipe originally appeared on Julie’s Eats and Treats where I am a contributor. Such a great breakfast treat!! One of my absolute favorites!! 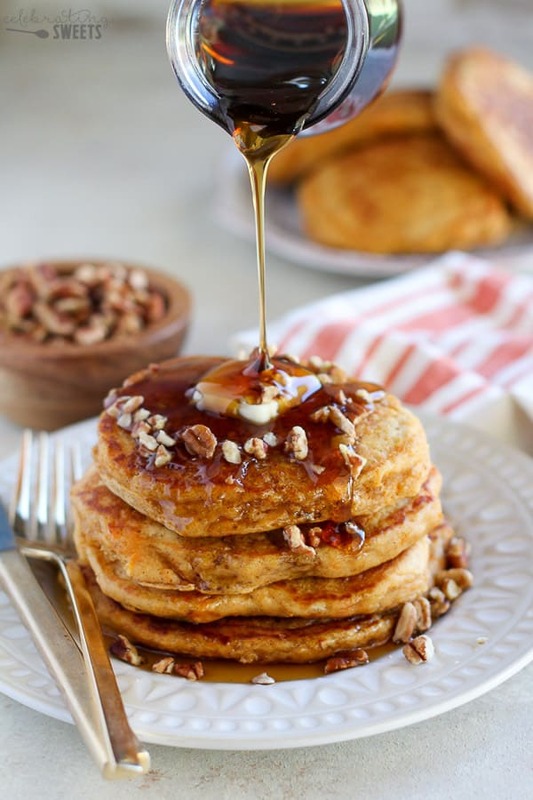 I’ve never had a sweet potato pancake but based on how much I like sweet potatoes, I HAVE to make these! I love sweet potatoes, but I have still never tried them in a sweet dish. Maybe I should make some of these pancakes at the weekend! 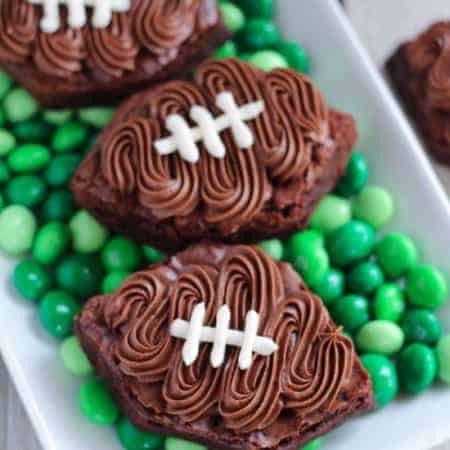 I love sweet potatoes, I bet these are absolutely delicious! 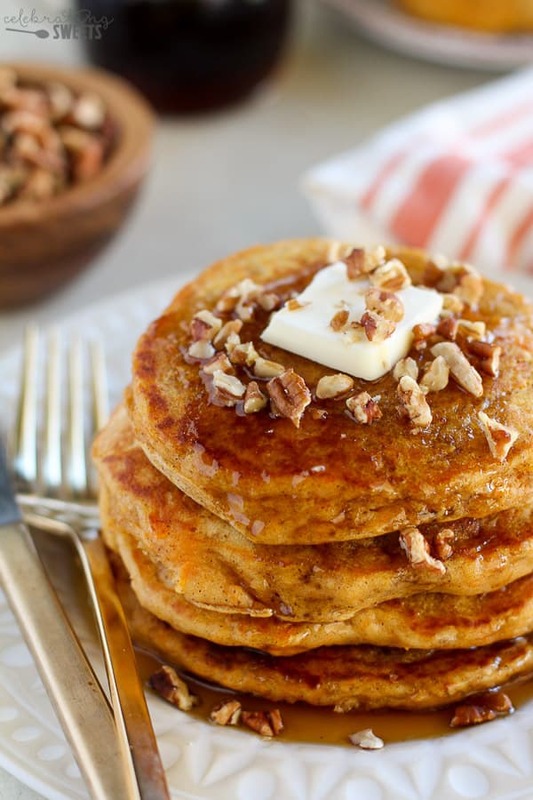 I love sweet potato pancakes in the fall – they’re so delicious! Will have to try them with cinnamon glazed apples, that sounds incredible!